Following is the copy-paste of a list of enhancement requests I sent to All India Radio app development team for their app. If you like them, please send a request to them too. For long I've been wanting to get the AIR news on internet, especially via Tune In app. When I found the AIR android app just a day ago, I was delighted, but felt it could use some improvements to make it more user friendly and popular. Below is a list of suggestions. Please do let me know what you think about them and if there's any chance you can make them happen. Have you considered the following for AIR services (in general)? Have you considered bringing in the following capabilities to the Android app? Ability to stop playing music / stations after X minutes (sleep function). 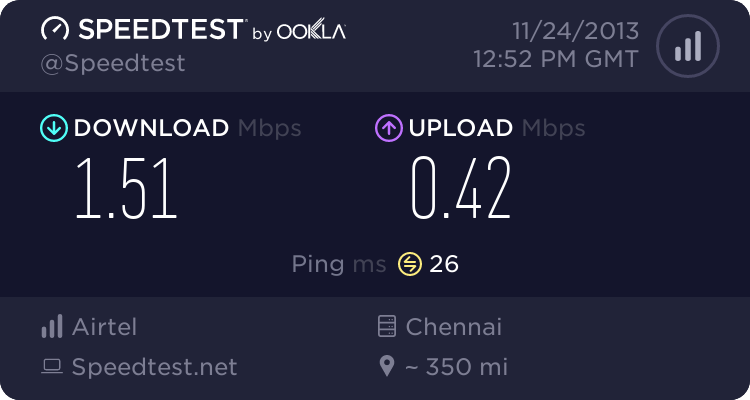 Ability to choose quality of stream - low, medium, high or something on those lines. Ability to record, rewind past few minutes, etc. Ability to mute in one click, instead of having to turn down the volume bar. Ability to set a wake up alarm and choose a station to start the day with. How about providing a program schedule for each of the stations? And ability to mark some programs as favorites and remind us when they are going to start. And possibly record the show when it happens. Ability to provide feedback from within the app for a particular program/hosts. Ability to comment on a program from within the app for others to join a conversation on the AIR website regarding a program, along with the ability to share the comment via social media like Twitter/FaceBook/Google+/Whatsapp etc., which will link back to the conversation on the website. Ability to share status of what I'm listening to, via social media such as Twitter/FaceBook/Google+/Whatsapp etc. Ability to request songs / ask questions etc to live programs or pre-scheduled ones, from within the app. 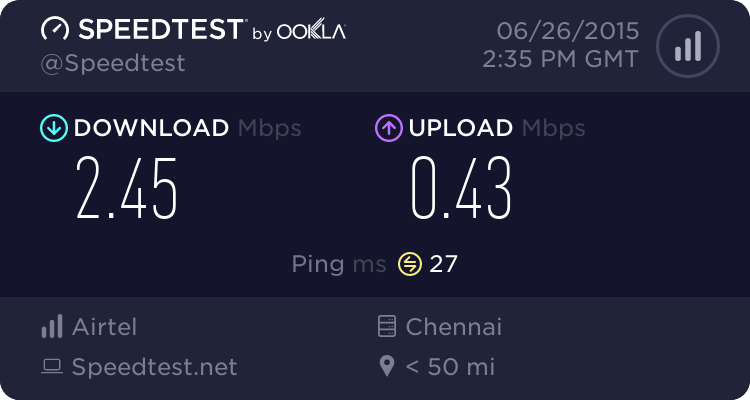 Download programs for listening offline (when there is no internet connection). Have a separate channel for news, or create a mashup of all channels that only publish news (maybe even in various languages). Ability to choose languages of interest and then choose for genre of programs within those - for eg., if I choose English, Hindi, Tamil, Telugu, Kannada - and choose genre music - the app should be able to cycle through the various channels and give me a continuous (or almost) play of music from various languages. So is the case for news, talk shows, etc. 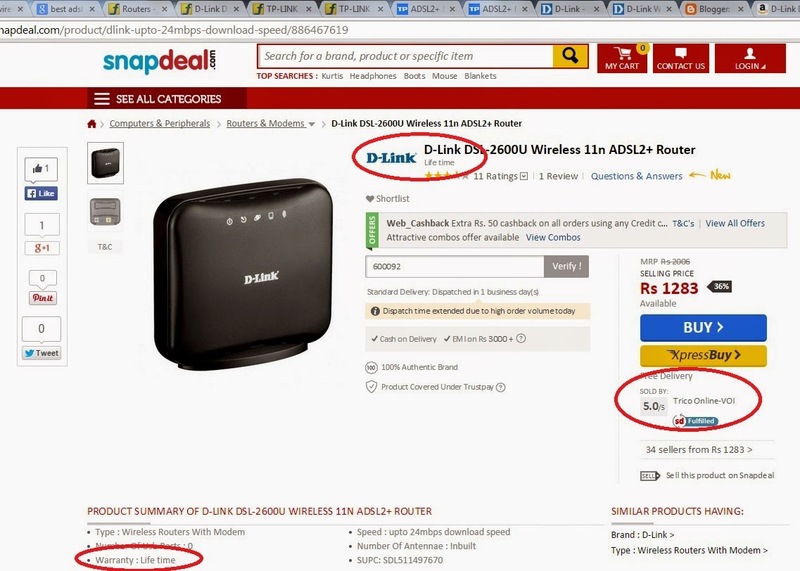 Are Flipkart, Amazon, Snapdeal, Ebay, ... cheating the public? 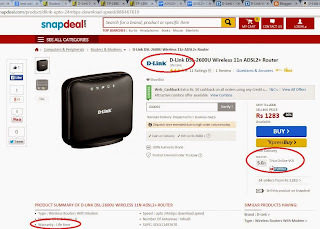 Are e-commerce sites like Flipkart, Amazon (India), Snapdeal, Ebay, etc cheating the Indian population/public when it comes to many electronic devices resale? Most electronic, electrical manufacturers/vendors (like networking products, mobiles, televisions, washing machines, etc) refuse warranty when it comes to these e-commerce sites. However, these sites continue to sell (or allow others to sell) these goods claiming manufacturer/other warranty. Isn't that willful cheating or misleading? The irony or the salt on the wound is that these very manufacturers/vendors often sell their goods via online retailers/e-commerce sites in other parts of the world!! That's adding insult to injury, IMHO. I understand that it's market forces at play, and it's often a tough choice, and there's probably no right/wrong answer. If these new e-commerce sites only represent 5% of the retail market, shouldn't these guys be embracing them happily? Afterall, 95% is still out there via traditional model. Or are they scared it will change and lead to power shift, and/or worried about antagonizing the remaining 95% of the market? 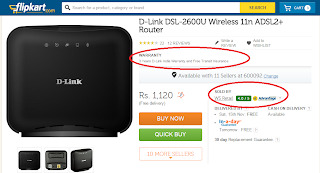 Eg., d-link denounces e-commerce sites such as flipkart, amazon, snapdeal! 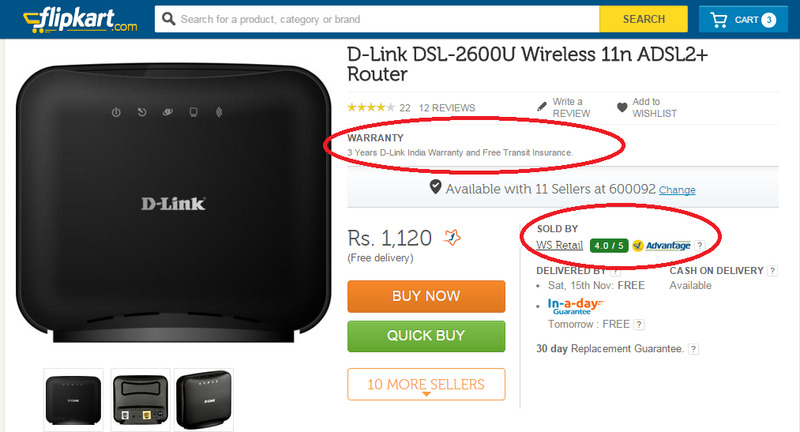 Flipkart claims 3 years d-link manufacturer warranty. I don't think these sites can ethically claim ignorance if the item is sold by a 3rd party retailer using their website. Although, they can possibly legally do so. What's your thought? And, who should intervene to protect the consumer? Played around with the Moto-G for a very brief while before I configured those and handed it off to family members. Neat device. A few observations (will update these in the future, if I get a chance, and/or if I find something). Camera: The camera could definitely be much better in low light or indoor lighting that's not great, I don't know if it's just a software issue - device still on 4.3 during launch in India, whether 4.4.2 would make an improvement? Or is it one of cost? If so, what would be a price point to take it to a decent level? Just a thought. FM Radio: The FM Radio seriously lacks options on the UI. Need the following. 1. Ability to enter a frequency (via keypad) instead of having to goof around with the slider. 2. Ability to provide names to the stations. 3. Ability to play thru' speaker instead of earphones, and switch back. 4. Ability to sleep after 15,30,45,60,120 mins or, enter a configurable option. 6. Ability to record from the FM station (not that many may use it, still may be handy once in a while). Storage / MicroSD: To Motorola::Please, please consider adding a MicroSD card option in future models. I dunno what your fixation is with not providing those, but they'd certainly help, especially in budget devices. Voice Recorder: To Motorola:: Need a default voice recorder so one can record MP3s of kids talking, singing and such - doesn't have to be video always - especially with the lack of storage space. Good job on including the charger, headset for a market like India.Don't think some of the other country versions have these. Charger: The charger could have had clearly visible USB indicator (or some marking) on it to easily indicate which side to plug into the phone. Will prevent long term damage of the charger/phone USB port. Cases: I see that the cases, flip shells align pretty much with the camera glass. I would have preferred if the casing was such that it provided at least a few mm protection to the camera, i.e casing stood out and camera was a little bit inside. Or is it that the camera glass is built with such material so as not to be scratched if placed frequently on irregular/rough surfaces? Moto-G receives the sweet pill! Kitkat 4.4.2 update now available for India! Upgraded one phone out of two! Still need to see what it actually brings in noticeably. Ok, now that I possibly have your attention with an "interesting" title/subject, here's the story. Quick summary is presented towards the end for those who can’t read the gory or spicy details. Excuse me in advance for the automatic formatting fiasco below. Motorola launched the Moto-G on 13-Nov-2013 (last year) in Brazil where it also said it will bring the device to India in early Jan in a dual-sim variant. Now, for those of you who don't know the Moto-G, it's a fantastic budget android phone that literally shows the rest of the world (read other manufacturers) how to build a phone at budget prices without compromising on the quality in terms of build or software. The major drawback I see is the absence of a micro-SD card, and minor ones such as a "just ok" camera and non user detachable battery. I was very excited about the India launch, and decided to renege on my earlier promise to myself not to buy another Motorola device ever - having convinced myself that this is no longer the earlier Motorola, but a new Motorola, a Google company (oh, and for those who don't know, Google has sold off Motorola to Lenovo). I was planning to gift 3 of these phones to family members and was super happy at such a device coming to India. Now, come early January 2014, there was no news about the launch, and things started getting a bit disappointing until indications started it would be late January, and then finally, the launch was supposed to happen on 5-Feb-2014. Of course, my excitement knew no bounds and I waited impatiently for the launch/sale information. The phone was launched on Feb-5 and it said that the phone would be exclusively available with Flipkart for sale from 6-Feb, 12am onwards. Note that flipkart had also been pumping up the frenzy by talking about exclusive launch day offers for a few days. After having read about all the fiasco in US with motomaker discount offers during special days, how the systems crumbled, I was keeping my fingers crossed that flipkart would get it right. After all, they were the poster boys of e-commerce in India and were steadily improving in every aspect – they couldn’t get anything wrong!, right?? Wrong! – as you will read on going forward. I logged onto my flipkart account on Feb-6, at around 12.05 am and placed my first order for a Moto-G. The system didn’t allow me to place 3 orders, which was my goal. It allowed me to place only one at a time and indicated that I could place another order with delivery dates being calculated separately on that order. I decided to let it go, proceeded with one order (around 12.10maybe) to be delivered by 10-Feb (Monday) and then went back in to order my next phone(s). Order # OD40206080333. I again tried ordering 2 phones in one shot, it wouldn’t allow me to save anything more than one. I was forced to buy one-by-one and to my second order went in before 12.20am. Order # OD40206030472, to be delivered by 10-Feb (Monday). I then tried getting in third order at around 12.21am or so at which point of time, the system said it was out of stock. I suspected that it could be a login related thing and tried looking up the stock from another machine/browser without logging in to my flipkart account – it said the same thing “out of stock”. I resigned myself to getting 2 out of 3 and was still fairly happy. Order confirmation by email kept coming in, but I didn’t see anything about the launch day offers in those. I was beginning to get worried. I then read the fine print on the stock page which said that I had to order the phone cases along with the phones in same order to avail launch day offer. I couldn’t believe my eyes that they could be so finicky on the T&Cs. b. I confirmed my 2nd phone order # OD40206030472 (amazed that flipkart could not believe the fact that someone could go to the extent of going thru’ Credit Card payment, entering OTP, confirming e-transactions, etc). c. He entered it into his system and approved the order. d. Coming to my case discount request, he said nothing could be done and that I could try canceling my phone order(s) and place another one along with the case. e. When I asked him whether I would be guaranteed another phone given things were already out of stock, he acknowledged that it was not possible to guarantee. f. I was not happy about it and asked him to take feedback that flipkart had to make the launch day T&Cs more transparent/clearer so that everyone doesn’t lose out on those offers. g. At 1:06am, Feb-6, I also wrote to cs@flikpart.com about missing out on the offers, and that flipkart had to make the T&Cs simpler/transparent and/or provide options for redemption later. i. I got a standard response from support at 11:10am in the morning that the offer was only valid when phone and case were combined in same order (duh!) and that I could try canceling the order and placing a new one! This, when the system was already out of stock. b. I was flabbergasted that cs@flipkart.com had a standard response, while their twitter group was more clued in! Maybe the departments are not synchronized. Or maybe, I didn’t see the timing in that detail. 12. I started hearing from others that they would open up stock around noon and was elated at the prospect of getting in my 3rd order. 13. Before 1pm, 6-Feb, I got 3rd order in, # OD40206025031, after a few attempts. By this time, flipkart had changed the UI on the page to clearly indicate that there was a combined offer and one could buy it from there. I silently congratulated them on the quick changes they had brought in the UI to avoid further confusion. 14. The 3rd order was also going to be delivered on 10-Feb. I was super-excited and happy with myself. 15. At around 1.14pm, I got email notification from flipkart that they “observed that my Moto-G was ordered without a case and they felt it was best looking with a colorful case” and that I could login to my account and order a new case between Feb-6 and 31-Mar. “Offer could be redeemed once”, they said!! a. I was certainly thankful that things were improving, but still unhappy and confused about the “order could be redeemed once” statement. b. I wrote back about the fact that I had two such orders and whether the offer would be applicable for both, but received no response to the email. c. Much later (9.51pm, 6-Feb), flipkart sent another note saying I could order a case between 7-Feb and 31-Mar. It was still not clear whether this was in addition to the earlier one or whether just dates had changed from 6-Feb to 7-Feb.
i. See below that by this time, my orders had been cancelled unilaterally by flipkart!! This was adding insult to injury!! 16. A little while later, at 2.28pm, I got a message that my 3rd order delivery date was changed from 10-Feb to 17-Feb “due to reasons beyond their control”. While I was slightly disappointed, I was still happy that I was still going to get 2 phones on 10-Feb and another one a week later. 17. At around 7pm, flipkart shattered my blissful world by sending in SMS messages that all my 3 orders were cancelled on my request!! 18. I also got emails around this time that orders were being cancelled per my request!! 19. I saw the SMS only a while later and called in the support center at around 8.30pm to find out what was happening. 20. I spent about 40 mins talking to a gentleman (Mr.Pratik) and trying to escalate to his shift supervisor (Mr.Shohom) who was handling other calls and remained unreachable throughout the said call period. I made it clear to Mr.Pratik that I never asked for cancellation. 21. He first said that the cancellation was since they were “out of stock”!!!! a. I made it clear to him that when I ordered (before 12.20am that day, Feb-6), the stock was pretty much in inventory according to the system, and that they had happily acknowledged this multiple times. Infact, to the extent that only my 3rd order in first attempt was blocked and first 2 went in fine without any issues. b. My 3rd order went had gone in just around 1pm at which point of time, things were again in stock and flipkart themselves had announced on Google+ at around 1pm that they were restocking and new orders were being taken! c. Also, several others had clearly indicated that they were able to order at around the same time without issues. 22. After much back-and-forth, he suggested that the order could have been cancelled by the seller since more than one phone was ordered per account id. a. I was seriously put off by this!! This was an arbitrary, unannounced policy being put in place much after the fact!! 23. I made it clear to him that this was unacceptable and my orders had to be reinstated since I wasn’t at fault. a. Also, that SMSing and emailing me that I (customer) had requested for cancellation was heights of lack of concern for the customer!!! He said it was a system generated message and possibly based on standard template and hence the error in wording. 24. He said nothing could be done at this point of time and was escalating to his supervisors, but that I should try ordering it when it becomes available again!!!!! 25. I called up the call center next day, 7-Feb (Friday), at around 8.45/9am and asked for shift supervisor and spoke in length to a Mr.Kulbhushan about the whole story. He said he’d discuss it with his managers who will come in around 10/11am and arrange for a call back later during the day. 26. As promised, he did arrange for the call back, and I spoke to Mr.Ahmad (hope I remember the names right) in length about the issue and how flipkart had to set this right for a long standing customer. He said that he’d look into it and could probably get 2 phones available, but not the 3rd due to demand. a. I simply resigned myself to “fate” and accepted the offer grudgingly, but still asked for my 3rd order to be honored as soon as possible. 27. A little while later, someone else (a Mr.Akul? maybe. I hope I am getting these names right, although they could all be fictitious! J) called from flipkart support and said they looked at my orders and cancellation and in view of my escalation, could give me 1 phone out of 3!!!! I told him Mr.Ahmad had already “promised” 2 and now I was again being “downgraded”? He said in that case, since someone had already spoken to me and offered 2 phones, that would stay. 28. I was contacted later (around 5pm, Feb-7 maybe) by someone from flipkart and told that I could order my “allotted” 2 phones, but that it had to be a new order, and that it would have to be cash-on-delivery and delivery time was still to be determined!! 29. I was simply sick of all of this by this point of time (as you can see, even in writing, because, I’ve lost track of details like who/when/…). I told him that flipkart had to get the order in “now”, and that delivery was to be made in next-day-guarantee category at flipkart’s expense since they goofed up big time!! b. I asked him to escalate, and he finally said, I still had to make the courier payment of Rs.90 for speed shipping, but that flipkart would credit back the amount in store payment to my account for the 2 orders!! c. It was revolting, but I accepted it for what it was worth! 30. As of now, I only have one order coming in on 11-Feb! No idea about the next one!! No express delivery!!! 31. So much for customer service!!!!!!!!!!!!!!!!!!!!!!!!!!!!!!!!!!!!!!!!!! 32. I have seen a few complaints about such suo moto cancellations, but nothing so painful. Or maybe others haven’t had the patience to write it up. Flipkart took my money for 3 phones (on launch day, Feb-6, Thursday). Cancelled my orders later on Feb-6 stating I asked for cancellation, without me asking for cancellation. Has not offered to give me 3 phones asap/now inspite of repeated escalations. Made me “order” 2 phones in a new order (Feb-7), not reinstating the old ones, thereby making me possibly lose out on launch day offers. Forcing me to pay cash-on-delivery, thereby theoretically tying up funds on both credit-card and cash (of course it’s my choice to accept or not). Not to mention me losing out bonus points on credit-card. Not offering next-day-delivery by default due to such mix-up, not offering to waive the cash payment, offering store-credit after much haggling, but still showing no indication of using it for delivery. Only one phone is being sent now, doesn’t look like next-day-delivery (order taken on 7-Feb, but coming in only on 11-Feb).Order # OD40207045235. No idea when 2nd phone is going to be delivered (Order # OD40207065295), nor whether I can get a discounted case. No possibility of getting 3rd phone for now. Experience leaves a very bad taste in mouth about Flipkart. Not sure I can blame Motorola on this, except if they had not anticipated the demand, and/or not shared their experiences with flipkart after the motomaker discount offer disaster in the US. Looks like flipkart has seriously mismanaged the launch / promotions / offers. I' I’m sure there are the envious few who already have the phone by now, the happy thousand who have had no issues with ordering, and the top brass of FK, Motorola have possibly congratulated themselves over the stupendous launch and demand. I just hope this piece provides an insight into some of the things that had gone wrong and hopefully helps put in place better systems for the future. It’s quite possible, I may have missed out some more of the finer details, but at this point of time, I give up the effort of trying to document any more things!